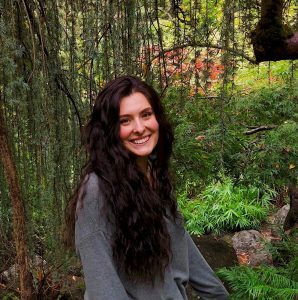 Riley Hamilton is an English major and an Honors College student at Southern Oregon University. Language is a cornerstone of culture. The language a group of people speaks is a way of expressing their cultural beliefs, customs, and values. Similarly, dialects and accents define culture as well. The way in which people speak is a method of unification and expression. Languages, dialects, and accents evolve and shift over time, revealing certain aspects of society. The varieties of speech favored by a society are reflective of social stratification and the standard for language, and these ideas can often be seen portrayed in media. The Mid-Atlantic accent, a non-rhotic style of speech found in New England and along the East Coast, has a rich history. After its rise in popularity after the elocution movement in the 18th century, it took to the big screen and ultimately became a defining factor of the film industry during the Golden Age of Hollywood. Analyzing the Mid-Atlantic accent and its history through the lens of the film industry reveals its role in reflecting the ever-changing class relations within society. In November of 1620, the Pilgrims arrived at Plymouth Rock in New England. These religious separatists fled England in order to practice their religion and worship God freely, and their arrival in New England can be regarded as the epicenter of what would become American English. As more and more Europeans began infiltrating America, the English language was being used and taught along over a thousand miles of the eastern coast by the end of the 17th century. Rather than adopting Native American languages, the English retained the “proper”, aristocratic speech influenced by the King James Bible and the works of Shakespeare. There are fewer than a dozen borrowed Native American words found in the writings of the Founding Fathers. Though there was a mixing of dialects due to people immigrating from various European countries and British regions, the colonists were content to use English rather than learn the Native tongues. Historians speculate that Native languages were too difficult for the English, and that they simply preferred their own words. Massachusetts, Virginia, Rhode Island, Connecticut, New Hampshire, North and South Carolina, New Jersey, and Pennsylvania were all colonized and each given－other than Massachusetts and Connecticut － English names rather than Native American ones. English took the west by storm, and a myriad of dialects began developing in the various colonies. In 1664, the Dutch colony New Amsterdam was taken by the British and became New York (Bragg 147-153). And the British occupation of America’s east coast, especially New York, resulted in the development of the Mid-Atlantic accent that has characterized the region since. The Mid-Atlantic accent, sometimes referred to as the Transatlantic accent, is a byproduct of the blending of American and British accents. More specifically, prestigious British speech influenced early American English, thus creating this hybrid of distinguished talk. In the Mid-Atlantic accent, vowels are more thoroughly expressed. For example, in the cot-caught and Don-dawn distinctions, each of the vowels are distinguished. In other American dialects, cot-caught and Don-dawn are merged with no audible distinction between words. Additionally, the Mid-Atlantic accent also makes a distinction between the words wine and whine. Whine, and other words beginning with wh are pronounced with a “hw” sound. The accent also retains the yod, which is the “ew” sound found in words such as news and music. The Mid-Atlantic accent’s use of these distinct pronunciations is reflective of its British roots. Another defining feature, and perhaps the most notable, of the Mid-Atlantic accent is its lack of rhoticity. Accents and dialects are considered rhotic when the letter r is pronounced at the end of words and before a consonant. Many British accents typically drop the pronunciation of r sounds at the end of words. For example, the word card often sounds like cahd when said with a British or New England accent. This non-rhotic speech shaped American English during the colonization of New England. Non-rhotic speech became “associated with upper-class whites” as speech standards of the British aristocracy bled into America (Wells 542). In contrast, rhotic speech was initially seen as characteristic of poverty and the lower-class. The high social standing associated with non-rhotic speech sparked a major emphasis on elocution in America. books were published on the topic of elocution. An actor named Thomas Sheridan wrote Lectures on Elocution in 1762, and another actor named John Walker wrote Elements of Elocution in 1781. These works instructed readers how to use gestures, control their voices, and emphasize words. Society’s emphasis on elocution remained relevant through the mid 20th century, and began to play a major role in media. The signature non-rhotic sound of the accent was very prominent in the arts and high caliber careers. This style of speech was used on the radio, by politicians and lawyers, and was heavily featured in the film industry. The Golden Age of Hollywood, which followed the silent film era, is notorious for its use of the Mid-Atlantic accent in films during the late 1920’s to 1960. Iconic actresses such as Katharine Hepburn, Audrey Hepburn, Grace Kelly, and Vivien Leigh all mastered the accent for their films, and its unique British-esque sound became a defining feature of films made during this time. Golden Age actors and actresses were trained in the art of elocution and speech delivery. In 1942, vocal coach Edith Skinner wrote Speak with Distinction. Skinner was a consultant to actors, and she used her text and methods to train them in the Mid-Atlantic accent, which she referred to as “Good Speech.” Skinner’s coinage of the term Good Speech was very prescriptivist, and most modern linguists reject the idea that certain types of speech are better than others. Nevertheless, Skinner’s guide to the Mid-Atlantic accent became the standard for actors both on the screen and the stage. Speak with Distinction, a quite dense text, contains instructions for the proper pronunciation of thousands of words. Good Speech has a multitude of rules, the most recognizable being the dropping of the r at the end of words, the clear expression of all vowels, and the pronunciation of t in words such as water and night (Skinner 1942). The transition from silent film to sound film allowed for the new dimension “of speech to register more subtle differences in social class, ethnicity, and educational or geographical background” (Beach 2). The start of sound film coincided “almost exactly with the beginnings of the Great Depression,” and amidst the rising class struggle, social structure became a common theme in the expanding film industry. The Mid-Atlantic accent was used by actors to portray upper-class characters and societies. Over the decades, however, the association between non-rhotic speech and the upper-class has shifted. Non-rhotic speech is characteristic of the famous New York City accent, but the dropping of the r that defined upper-class New Yorkers for decades has lost its high standing. Over the course of the 21st century, American English has begun to favor “rhoticity in all positions, gradually displacing the New York City pronunciations” (Mather 2). While non-rhotic speech used to be indicative of the upper-class, rhoticity is now the preferred manner of professional speech. Linguists have tracked the societal shift regarding rhoticity, and in 1962 linguist William Labov conducted his New York department store study, in which he investigated whether or not New Yorkers pronounce their r’s depends on what social class environment the speakers are in. He analyzed the language of the employees in three different department stores: Saks (upper middle class), Macy’s (lower-middle class), and S. Klein (working class). Labov found the employees “from Saks used rhotic r most, showing that the overt prestige form in New York City favored rhoticity. Those from Klein’s used it least, likely because they identified more with their working-class clientele, and because it reflected their own frequency of use in their local communities,” and employees from Macy’s used a constricted form of r (Mather 2). Labov concluded that “the pronunciation of r increased both socially and stylistically toward greater rhoticity…and the more careful the speech, the more likely the r was to be pronounced” (Mather 2). This study has been recreated twice in New York City, and the results have been consistent. Rhoticity has usurped the long, prestigious reign of non-rhoticity. The non-rhotic New York City accent is still depicted in film and television, but it’s portrayal has shifted. For example, characters such as New York City lawyers are often presented with formal, rhotic speech, whereas New York City police officers are typically portrayed with a non-rhotic accent. Lawyers are shown using a more “proper and professional” sort of speech, and the police officers represent the everyday New York City speech they hear and use in the streets. The Mid-Atlantic accent, particularly its use in media, has had a long history reflective of constantly evolving class relations. The English language has experienced many modification as it has developed in America over the centuries. A multitude of accents can be heard throughout the country, some of the most notable hailing from New England. The Mid-Atlantic accent has defined the region for decades, and representations of it are often used as a stereotype for New Yorkers and Bostonians. Before the Mid-Atlantic accent evolved to what it is today, it was a reflection of the upper-class, wealth, and intelligence. The elocution movement transformed the accent into a desirable achievement; the golden standard for proper speech and delivery. The Golden Age of Hollywood perpetuated the accent’s association with high social standing, but in the last century its prestige has all but disappeared. Though the implications of the Mid-Atlantic accent have shifted, its relevance and usage has not. The accent is still alive and well in New England, and will continue to evolve as it has been since the 15th century. Beach, Christopher. Class, Language, and American Film Comedy. Cambridge University Press, 2004. Linguistics, 40(4): 338-356, 2012, pp. 1-19. Modiano, Marko. “The Americanization of Euro-English.” World Englishes, vol. 15, no. 2, 1996, pp. 207–215. Moran, Michael G. Eighteenth-Century British and American Rhetorics and Rhetoricians: Critical Studies and Sources. Greenwood Press, 1994. Skinner, Edith, et al. Speak with Distinction: the Classic Skinner Method to Speech on the Stage.Applause Theatre Book Publishers, 1990. Wells, J.C. Accents of English: Volume 3: Beyond the British Isles. Cambridge University Press, 1982. This entry was posted in Ideas and Opinions. Bookmark the permalink.